No matter how persistent Russia is in insisting that it supports not the mere regime of the Syrian President Assad but rather its fight against the Islamic State, Washington won’t listen: the US media is abuzz with fearmongering over Russia’s military aid to Damascus, trying to guess what it could mean and what to do next. The US seems to have absolutely no clue how to react to the Russian activity in Syria. 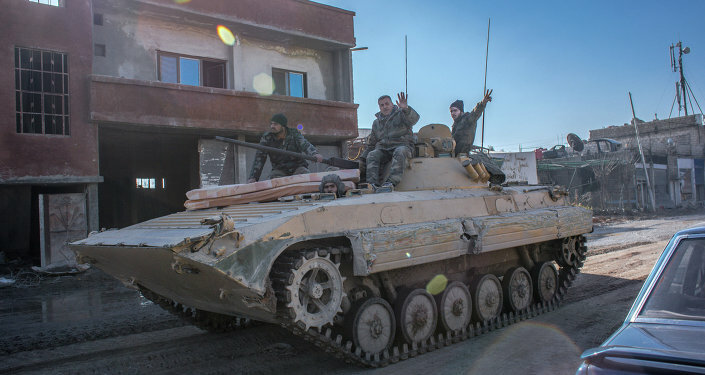 While some of its media sources opt to resort to hysteria, such as Fox News, which claims Damascus will soon be occupied by the Russian army, others prefer to look at different options, and are trying to compile something resembling an action plan. The US-based financial agency Bloomberg has come up with two relatively adequate responses, and examines all the pros and cons for each one. “The options are to try to confront Russia inside Syria or, as some in the White House are advocating, cooperate with Russia there in the fight against the Islamic State (ISIL),” it said. “For some in the White House, the priority is to enlist more countries to fight against the Islamic State, and they fear making the relationship with Russia any more heated. They are seriously considering accepting the Russian buildup as a fait accompli, and then working with Moscow to coordinate US and Russian strikes in Northern Syria, where the US-led coalition operates every day,” the agency says. Others, however, seem to be so obsessed with the idea of toppling President Assad, that they are paying no attention to the IS threat; they will regard any cooperation with Moscow as a real failure. However, the real fear for the aforementioned group is that “the US has no real leverage to fight back”. If “Obama decides not to accept the Russian air force presence in Syria”, the outlet elaborates, he will face another set of options. Meanwhile, The National Interest, another US outlet, has come up with its own list of what Russia is trying to tell the world. First, it says, “the Kremlin is clearly signaling that it plans to take an active role in setting the agenda in the Middle East — and not to passively accept an American vision for how the future should unfold”.